Every conveyor belt has a motor that provides power to keep it moving. 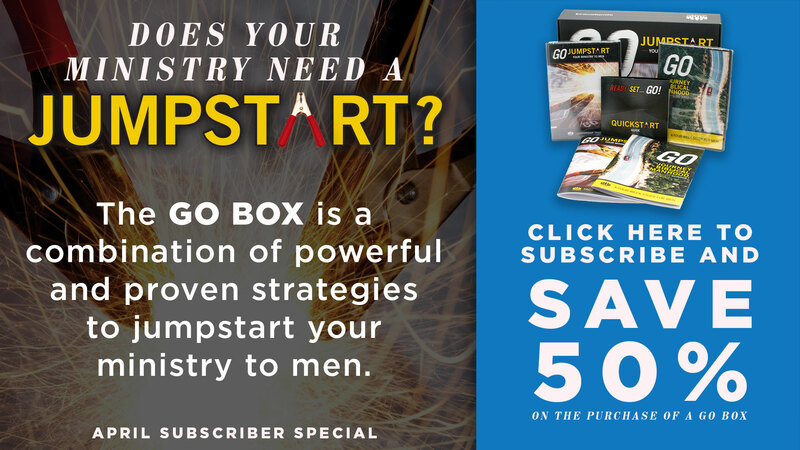 The power for your discipleship ministry with men is the Vision – Create – Capture – Sustain engine. We’ll deal with these concepts in the next several posts. 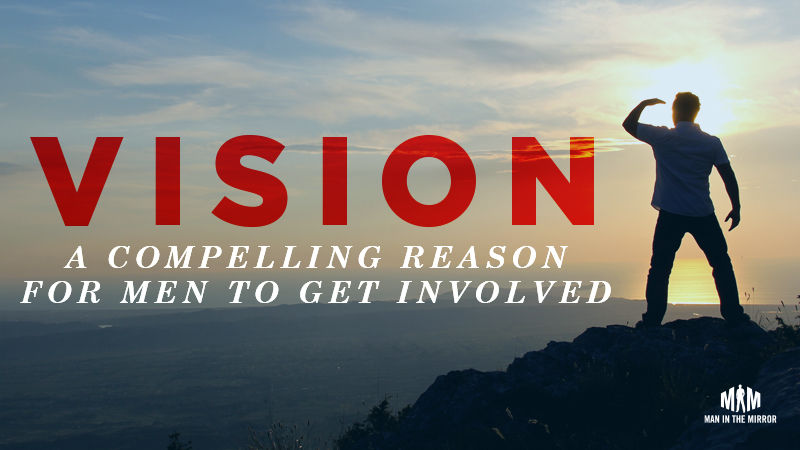 We begin with helping you instill a sense of mission and vision in the men of your church. Would you do us a favor? Tap your foot while you read this post. Seriously. This is not just an academic exercise where you will get the point even if you don’t actually do what we say. We really want you to tap your foot while you read. Go ahead. Feel free to move it very slightly so that people around you don’t think you’re weird. Just make sure you tap your foot up and down. Are you tapping? Good. What about some of the men who are more involved? If you asked an usher why he served, how would he answer? How about a man who helps park cars? Sings on the praise team? Leads a men’s small group? Works with the middle school youth group? Too often today men go to church without any real sense of purpose. They participate in activities because they are supposed to, or because someone asks them to, but they don’t really know why they are involved. Most of them have never been given a compelling reason why the church should be a priority in their lives. They have never heard—in language they can relate to—that joining Christ in transforming the world is the adventure their hearts have always longed for. Are you still tapping your foot? Let’s assume this post kept going on and on and we never told you to stop. How long would you keep tapping? If you are a skeptical person, you might tap a few times and then quickly stop. If you are a particularly diligent person, you might keep tapping your foot for five or even ten minutes. But eventually every person that reads this post will stop. Why? Because you would realize you were tapping your foot for no good reason. Many men in churches are “tapping their feet” with no idea why. They may continue to be engaged for a while, but eventually they’ll get tired, bored, and discouraged. And then their hearts begin to grow cold, wither, and die. These men know down deep inside that they were made for something more. God desires for the church to reach men with the gospel of Christ and help them grow to maturity. In the Great Commission (Matthew 28:18-20), Jesus calls us to make disciples by sharing his message. In Ephesians 4:11-13, Paul teaches that God gives some people special abilities to equip others for works of service. Leaders are called to disciple and equip people so they can do the actual work of the ministry and mature to become all God is calling them to be. In the fourth century B. C., Philip of Macedonia took control of several northern Greek cities. Down in Athens, the two greatest political orators of the day, Isocrates and Demosthenes, spoke out about the danger. They debated whether the men of Athens should attack Phillip or wait and see if he attacked Athens. Isocrates, a teacher, made sure he presented the facts well. Demosthenes, on the other hand, concerned himself not only with what was “true,” but also with what could be “made true” by the actions he advocated. We need more “Demosthenes” in our interactions with the men of our church. We have cheated men by obscuring the incredible adventure of changing the world through Christ behind programs and activities. Ideas are more powerful than labor. Ideas set forces in motion that, once released, can no longer be contained. Here are some examples…. “I want to make it possible for anyone in the world to be able to taste a Coke during my lifetime.” -Robert Woodruff, CEO, Coca Cola, 1950s. Today you can ascend to the top of the highest mountains in Nepal or descend to the nadir of Death Valley and find, what? Empty Coke cans. Communicating the right idea in a compelling way is a powerful force. If your announcements state that your “men’s ministry will meet Saturday morning at 7:00 for breakfast and fellowship,” that’s a lie. It may be technically accurate, but it is a lie in every way that matters. Your men’s ministry is not a meeting on some schedule of activities. Your men’s ministry is about being part of what God is doing to transform the lives of men and women through the men of your church. Men are tired of doing things “just because they should” or for no apparent reason. Men—especially younger men—want to be involved in something bigger than themselves. If we said, “Just Do It,” what images come to your mind? What about “Be all you can be?” These slogans work because the companies and organizations behind them have spent a tremendous amount of time, effort, and money reinforcing them to our hearts and minds. They resonate with us. Consider “Just do it.” There is nothing in those three words that mention sports. The slogan could just have easily been adopted by a travel agency, a credit card company, or a job placement firm. But not anymore. Those words will now forever be owned by Nike. These phrases now resonate with millions of people around the world. How about your men? Are you communicating with them in a way that connects with them emotionally? We need to go beyond simply conveying information to our men. In most cases they don’t need more information, they need God to awaken their hearts. Our job is to faithfully communicate in ways that God can use to stir the passion of our men for His glory. The Big Idea: Ideas are more powerful than labor. Ideas set forces in motion that, once released, can no longer be contained. In our next post, we will discuss what the process looks like to formulate a powerful vision for your ministry to men and how to communicate it effectively in a way that stirs up men’s passions to be part of something bigger than themselves.